To tell you the truth, I didn't know much... I had never heard of KCRW before moving to Los Angeles. Even then, it was just a station someone had recommended that I program into my car radio. Surprisingly, I don't spend much time in my car, so I never get to listen to most of those stations. Fast-forward a few years and we're interviewing KCRW for the FU of the Week. I quickly learned that the local public radio station based out of Santa Monica College is a beacon of light to a lot of indie musicians and responsible for launching many of their professional careers. It's also known far and wide for the way they use technology to get their content out on a global scale. When we arrived that morning, I was greeted by Rachel, who immediately felt like a long lost friend. She took us on a tour of the station -- down the hallways and to various studios and extensive audio libraries -- and I was impressed. Not so much by the size or look of the place, but by the distinctive vibe it had. It was warm and inviting, a kind of place where you'd want to hang out for a while. We were in time to sit in on Morning Becomes Eclectic, their live concert show hosted by their Music Director, Nic Harcourt. 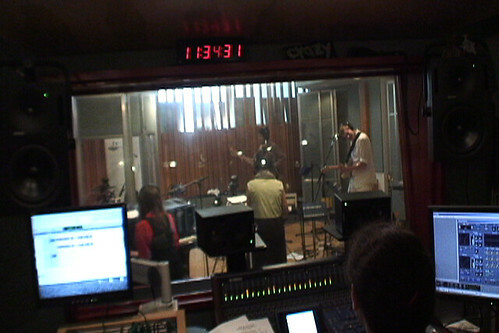 Salt and Samovar, an indie band from my old neighborhood in Williamsburg, Brooklyn were in the studio playing a set. I thought about how great it must be to get to listen to talented bands play on a regular basis. Then Nic mentioned that Nina Simone had sat and played on the piano in the studio. I quickly realized how much history this place had. 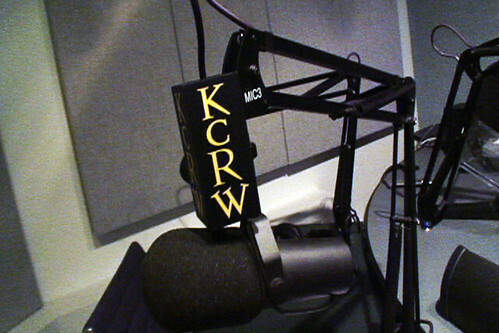 Shortly after, we met with Anil Dewan, the Director of New Media, and that's when we realized how much KCRW got it. As soon as we entered the new media department I saw Twitter on the computer screen. Anil went on to describe how they experiment with new online apps like Twitter to reach their fan base. They stream their radio broadcasts, distribute their programming through podcasts and aren't afraid to try new technologies. By doing this they make radio more engaging, more interactive and more accessible to their listeners beyond the inherent terrestrial limitations. 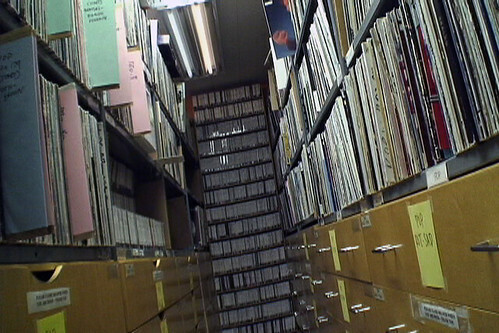 What struck me most was how KCRW had the perfect blend of intimacy and technology. They understand that ultimately to feel connected, we need people on the receiving end of a conversation, not automation. They just use the technology available to help them connect as best possible. And they make sure that they give you the opportunity to hear the music they find and the programming they create -- no matter where you may be. Make sure to watch our full interview with Anil below. He talks about a lot of great things we couldn't include in the show. To tell you the truth, I didn't know much... I had never heard of KCRW before moving to Los Angeles. Even then, it was just a station someone had recommended that I program into my car radio. Surprisingly, I don't spend much time in my car, so I never get to listen to most of those stations. Fast-forward a few years and we're interviewing KCRW for the FU of the Week. I quickly learned that the local public radio station based out of Santa Monica College is a beacon of light to a lot of indie musicians and responsible for launching many of their professional careers. It's also known far and wide for the way they use technology to get their content out on a global scale.